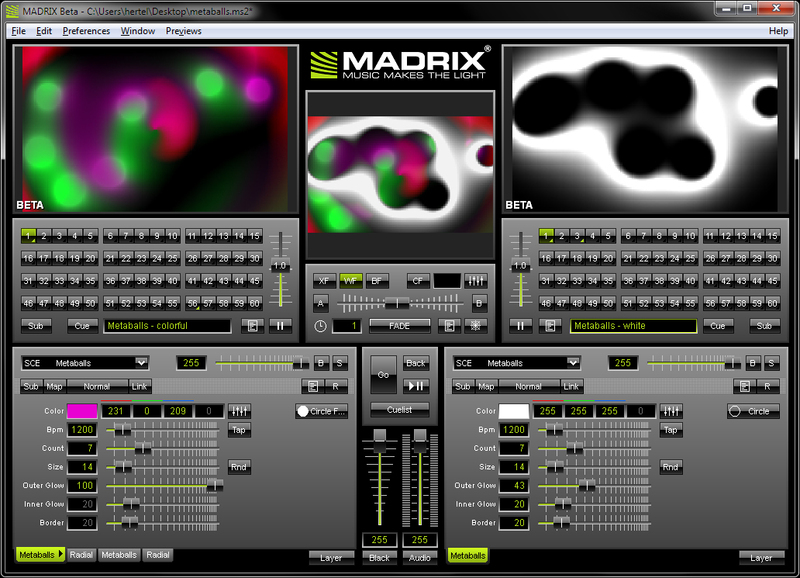 MADRIX 2.8 will be officially launched at Prolight + Sound 2010. The upcoming version of the LED control software includes plenty of brand new features. Two fresh and creative effects called “SCE Metaballs” and “SCE Drops” as well as the much-improved Sound2Light effect “S2L Equalizer” extend the possibilities to amaze every audience. In addition, reorganizing effects by using drag & drop is now easily possible. Combining effects was greatly enhanced by adding new features to layers, such as Copy, Paste, and Insert. 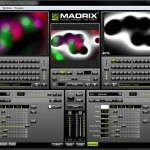 This represents the professional and reliable performance of MADRIX combined with its ease of use. The Patch was completely rebuild and is as user-friendly and fast as never before. And it now offers an advanced range of functions. Moreover, the DMX Watcher and the DMX Fader Tool—two very useful tools—highly increase productivity and simplify working with LED installations. Futurelight EYE-60 – LED there be Washlight! Futurelight now offers a more compact version of its flagship EYE-108 RGBW – the new LED moving head EYE-60 RGBW. The EYE-60 comes with all features that have made its older brother a convincing tool for all professional light designers. The EYE-60 just like the EYE-108 offers high luminosity at a low weight and low energy consumption as well as trendsetting color mixing out of the four components red, green, blue, and white for even more color mixing options. Adding a fourth primary color brings a variable color temperature. The difference between the two state-of-the-art multifunctional spots is the number of 3-watt LEDs that was reduced from 108 to 60 (22 x red, 17 x green, 15 x blue, and 6 x white). This equals 250 watts with standard spots with discharge lamps. Up to 14 EYE-60 RGBW can be operated with a single 16-ampere IEC outlet and including the suspension weigh only a little more than 100 kilograms. This makes the washlight most suitable for a sophisticated light design even on small stages or at crowded venues with limited budget and power supply. 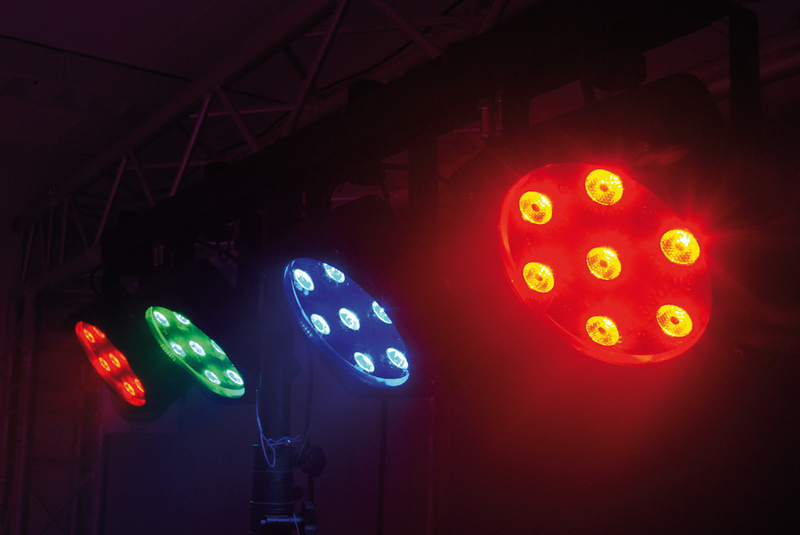 With its compact size, running smoothness even at high speed, and high luminosity the EYE-60 RGBW is applicable particularly for galas and fairs, and is simply a must as economic alternative for rental companies and light designers that need to set value on parameters like brightness, weight, power consumption, and speed. All settings on the washlight can be made quite easily and are well readable thanks to its clearly arranged LCD screen. The ESDC function (easy service data check) of the battery-backed control panel ensures the readout of operating hours and various other parameters at any time – even without mains supply. A time-saving feature for rental companies often faced with a large number of devices. The EYE-60 RGBW weighs less than 8 kilograms and can be operated at 100 to 240 volts due to its switch mode power supply. Power consumption is at 250 watts maximum. Further highlights of the new spot are a versatile strobe effect with up to 25 flashes per second, a random function, and not less than 56 programmed scenes for the operation without controller. Music control can be done via the built-in microphone at any time. The LED’s beam angle is 28°. 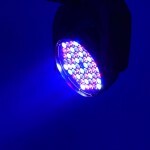 Since 2004, the washlights of Futurelight’s EYE range have been reflecting the zeitgeist with the best available technology. Currently, a more favorably priced range is also available besides the EYE-60 RGBW and the EYE-108 RGBW: the EYE-90 RGB, the EYE-54 TCL, and the EYE-36 MK2. LED there be Washlight! EUROLITE LED KLS-800 – Ever increasing brightness! 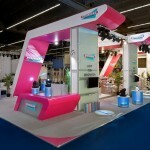 With the LED KLS-800 TCL DMX, Eurolite presents the new top model from the revolutionary line of LED-Compact Light Sets. As light-weight as its predecessor, the same housing, but considerably brighter. The KLS-800 is comprised out of four individual, flat and separately directional spots with seven Tricolor-LED-chips (TCL) each. Every TCL-chip is fitted with three LEDs having a rated power output of 1W each. Advantages of this multichip-technology enable a substantially more homogeneous color mixture than is possible with individually installed LEDs. By the way, the loss of light output through the integrated converging lens is negligible. The compact light set accommodates 28 TCL-chips, each having a 3 Watt power output. The achieved light output is comparable to a conventional spot-bar comprised of four PAR-56 in various colors. The compact set really lives up to its name: the total weight of the LED KLS-800 including bar, TV pin, and the complete cabling is round about 9 kilograms and can be transported comfortably by a single person in the included carrier bag. Thanks to the low weight and the completely pre-fitted bar, installation is simple, even for the not so technically inclined. 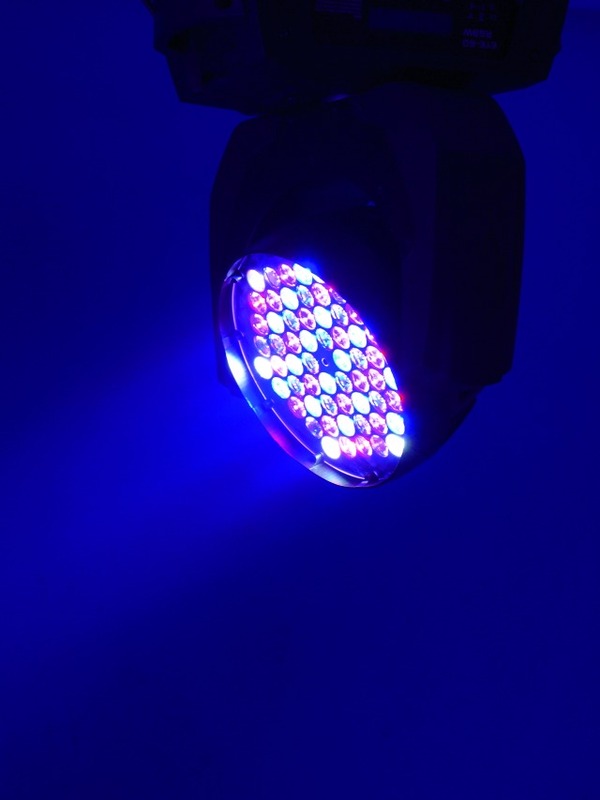 This makes the LED KLS-800 especially attractive for solo entertainers and other small performing groups with own equipment as well as for technical service providers with mobile discos and rentals. Control can be carried out either via the optionally available foot switch with long connection cable or via any standard DMX-controller. 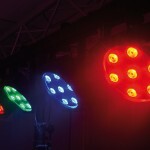 The compact light set occupies 15 DMX channels. The Eurolite DMX LED Operator 4 is a specially developed controller, with which all functions can be easily accessed. 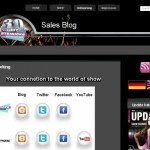 This enables comprehensive use of the system without the tedious familiarization with the subject matter. A further benefit of the LED KLS-800 is the very low power consumption, which lies at about 160 Watts. Hereby, as well as the minimal heat emission of the LEDs, it encourages use of the compact sets even in the smallest locations, without having the performer or the public to work up a sweat. Moreover, in contrast to its conventional prototypes, the LED KLS-800 does not promote annoying interference in the sound system, in case light and sound need to share an electrical circuit at an event location with limited power supplies. Facts which make the LED KLS-800 a real alternative to conventional spot-bars. 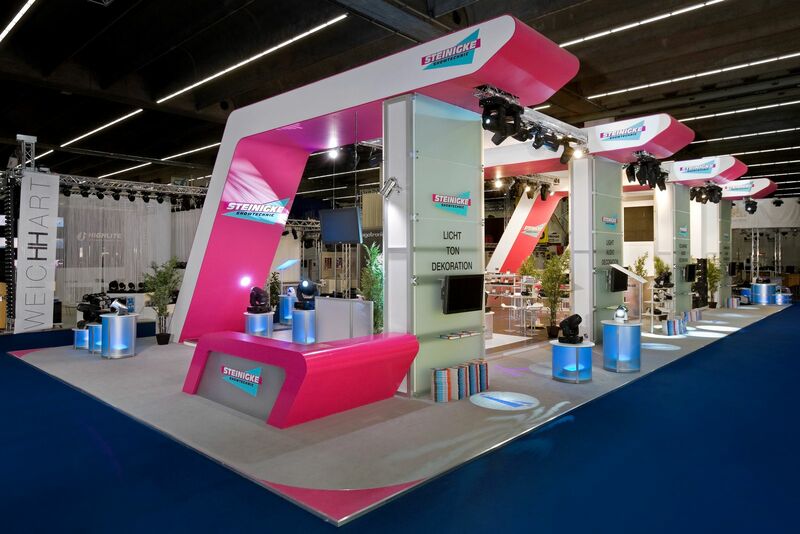 When EUROLITE brought the first compact LED light sets on the market in the summer of 2008, it produced a real sensation in the mobile event-technology sector. The revolutionary product range was quickly and consequently expanded by means of customer requests, so that meanwhile the user has six versions with varying configurations to choose from, including the top model LED KLS-800 TCL DMX. Several complete sets with stand enlarge this range even more.